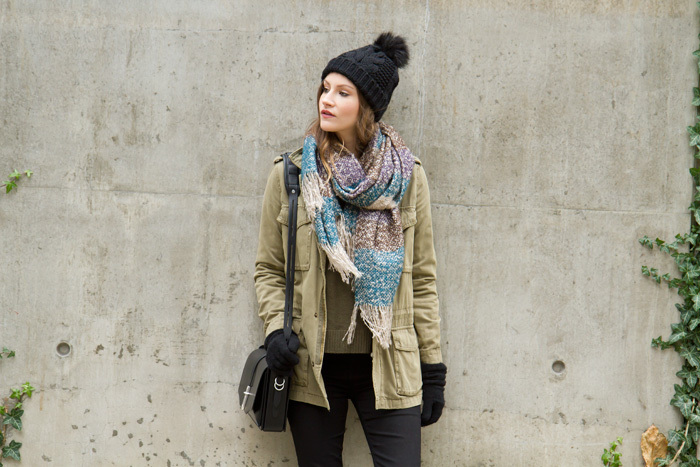 Bundling up is the only way to go lately! I wanted to show you this sweater that I got from J.Crew a couple of weeks ago, but once I was ready to leave the house, I was too bundled up to show it off. These are the woes of fashion blogging during the winter. I really should invest solely in outerwear for these months, but I find myself way more drawn to the cozy sweater collections. Hopefully I'll be able to give you a better look at it soon -- it really is so gorgeous. On another note -- how is everyone's Christmas shopping going? I was a bit stressed about it for the last couple of days because I hadn't even begun -- but a scheduling error at work turned out to be the perfect opportunity for me to get it all done! I only have a couple more things I need to pick up and then I can rest. Now hopefully everything arrives in time for me to bring it home for Christmas. Lately, my blog reading list always seems to get away on me, dear Alison...but here I am, finally catching up again!! Totally a fan of this colour combination...the olive green military-inspired jacket with the black jeans and accessories is exactly my idea of winter chic!! And where oh where did you find that amazing fringy scarf? !